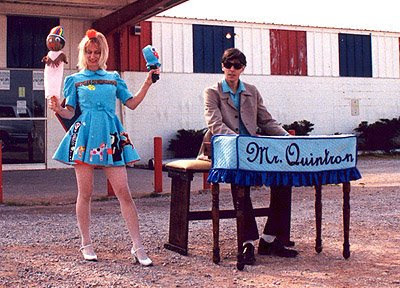 Went to see Quintron and Miss Pussycat from New Orleans, LA last night. Puppet show and rock show for the price of one! It was really fun. Small crowd, but lots of dancing. Quintron is known for his musical inventions including a rotating drum machine that is activated by light--so cool! My friend took photos from the show so I'll post them when I get them. Also this weekend--shad fest (in which they ran out of shad a few hours in! Boo Hiss! ).